Are you getting married in one of our partner venues Dromoland Castle or Knappogue Castle or are you attending a wedding at one of these venues? We share Amazing Things To See And Do In County Clare to keep you and your guests happy. 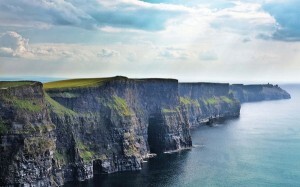 Overlooking the Atlantic Ocean, the Cliffs of Moher are one of Ireland’s top visitor attractions. With astonishing views, the Aran Islands and the Maumturk Mountains in Connemara are only two places that can be seen on a clear day. Feel like going for a walk? You can reach the coastal village Doolin over the cliff walk. Journey time to the Cliffs of Moher from Dromoland Castle and from Knappogue Castle is under one hour. Built in 1425, Bunratty Castle is the most authentic medieval fortress in Ireland. Surrounded by the cottages and houses of the Folk Park, as well as tastes, sounds and scents, the 19th century life at Bunratty Castle is recreated for every visitor. The Medieval banquet in the evening and the beautiful Walled Gardens are not to be missed. 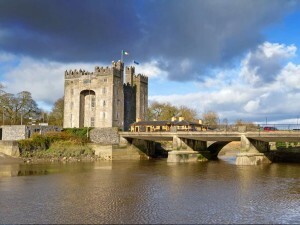 Journey time to Bunratty from Dromoland Castle is only 15 minutes and 20 minutes from Knappogue Castle. 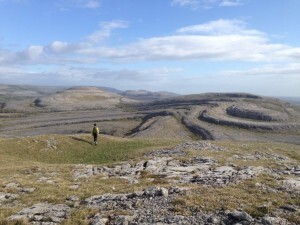 The Burren is an area of limestone rock covering imposing mountains and valleys and is one of the world’s most unique heritage regions. Creating astonishing wildlife and flora, the Burren gives visitors a feeling of peace and magic all around them. Journey time to The Burren from Dromoland Castle and Knappogue Castle is under one hour. Combine a trip to the Burren with the Cliffs of Moher for a magnificent day. 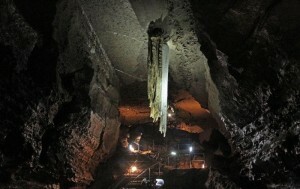 The cave is home to the longest free-hanging stalactite in the Northern Hemisphere. Walk the Farmland Nature Trail to have a look at the over ground cave setting and rare breeds of animals. With a café and pottery, Doolin Cave offers lots for the visitor. Journey time to Doolin Cave from Dromoland Castle is 50 minutes and only approximately 7 minutes longer from Knappogue Castle. Ireland’s award-winning Pre-historic park features a recreation of homesteads, animals and artefacts, which existed in Ireland over 1,000 years ago. 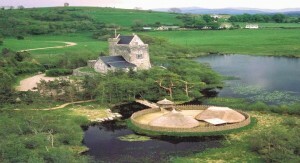 Visitors can also explore the Ring Fort, the Medieval Castle and other magical places that will take them back in time. Journey time to Craggaunowen from Dromoland Castle is approximately 22 minutes and only 10 minutes from Knappogue Castle. Ailwee Cave is one of the most ancient caves in Co. Clare and was formed by glacial melt water of an early ice age. Visitors can explore the dramatic underworld of the area, climb freely over the Burren limestone pavement and watch cheese being made. Ailwee Cave is also home to the Birds of Prey Center, where visitors can enjoy flying displays and hawk walks. 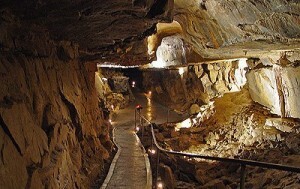 Journey time to the Aillwee Cave from Dromoland Castle is approximately 51 minutes and 59 minutes from Knappogue Castle. Learn more about the Bottlenose Dolphins that live in the area, seabirds and coastal landmarks during a two hours boat trip on the Shannon River. Departing from either Kilrush or Carrigaholt, a look at one of those beautiful animals will change a visitor’s life. Journey time to Kilrush Marina from Dromoland castle is approximately 42 minutes and from Knappogue Castle roughly 48 minutes. Journey time to Carrigaholt from Dromoland Castle is roughly 1 hour and 7 minutes and 1 hour and 13 minutes from Knappogue Castle. As part of our full service wedding planning we will assist you plan & organise day trips for you and your guests to these wonderful attractions. Contact us today to begin Wedding Planning!